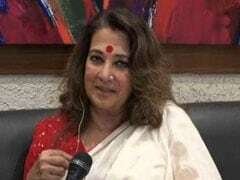 Kalank stars Varun Dhawan, Sonakshi Sinha, Madhuri Dixit and Sanjay Dutt gave the screening a miss. 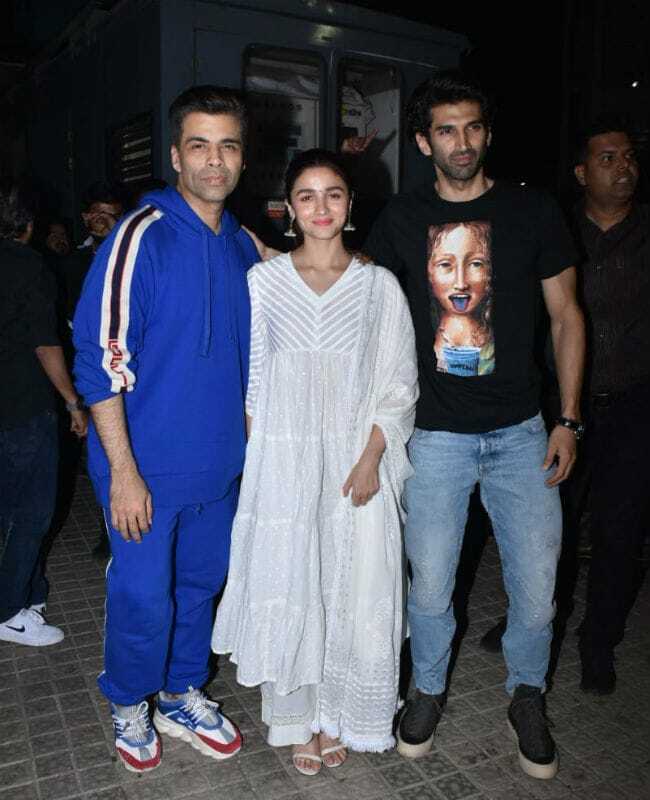 A day before Kalank opened in cinemas, a special screening of the film was hosted by Dharma Productions, which was attended by cast members Alia Bhatt and Aditya Roy Kapur, and their guests Janhvi and Khushi Kapoor, Ananya Panday, Ishaan Khatter, Neha Dhupia, Soha Ali Khan and Kriti Sanon (who also features in a special song in the film), among others. 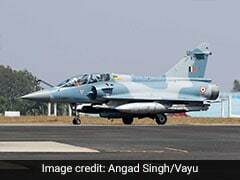 Producer Karan Johar also made a flamboyant (you expected subtle?) appearance. For the screening, Alia Bhatt opted for an over-sized white suit, which she paired with minimal accessories and a dazzling smile. Kalank also stars Varun Dhawan, Sonakshi Sinha, Madhuri Dixit and Sanjay Dutt. Take a look at team Kalank at the film's screening on Tuesday. Scroll down to check out who all turned up to cheer for team Kalank. 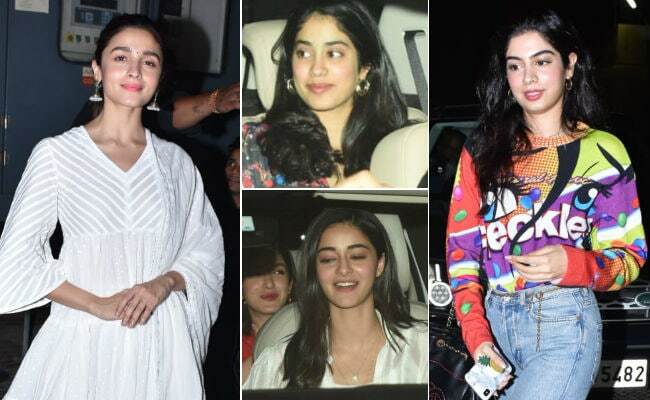 Janhvi appeared to have opted for a black floral printed outfit while Khushi was dressed in a colourful tee with denims. 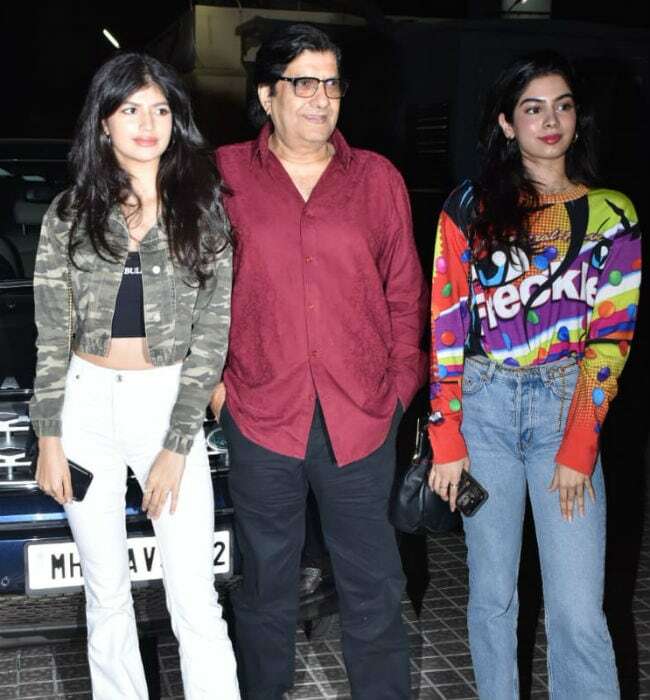 Meanwhile, Anjini Dhawan and her grandfather Anil Dhawan represented Varun at the screening. Varun is Anil Dhawan's nephew. 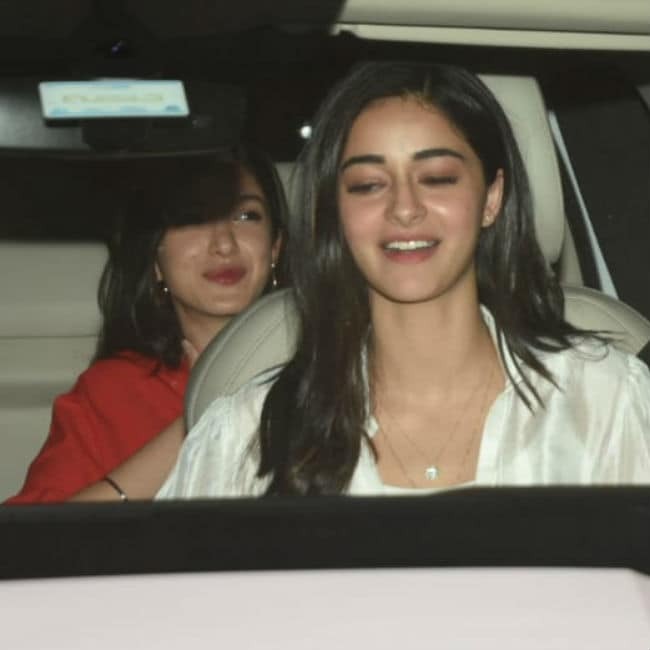 Ananya Panday was all smiles as she arrived at the screening. Ananya's debut film Student Of The Year 2 (also produced by Karan Johar) releases on May 10. 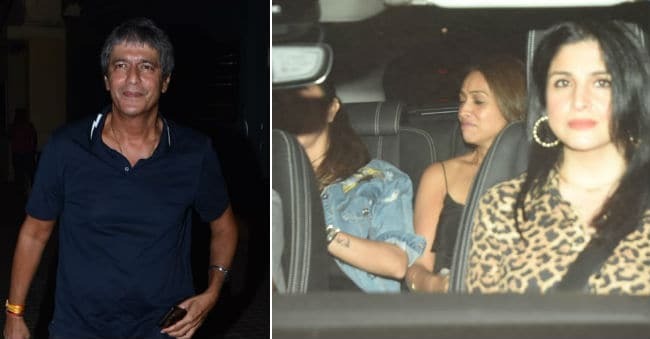 Shanaya Kapoor, daughter of Sanjay and Maheep Kapoor, also tagged along. 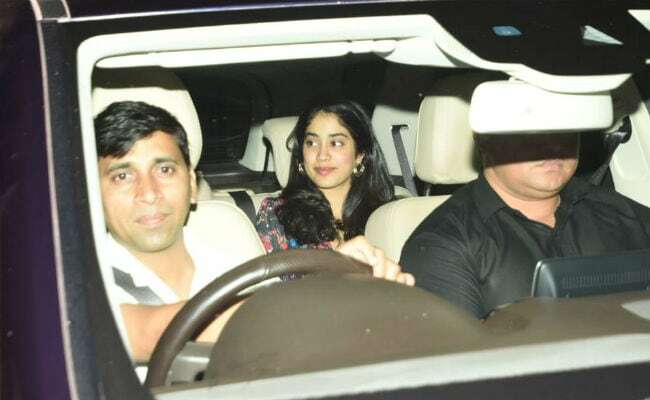 Ananya's parents Chunky and Bhavana Panday, and Shanaya's mother Maheep were also around. 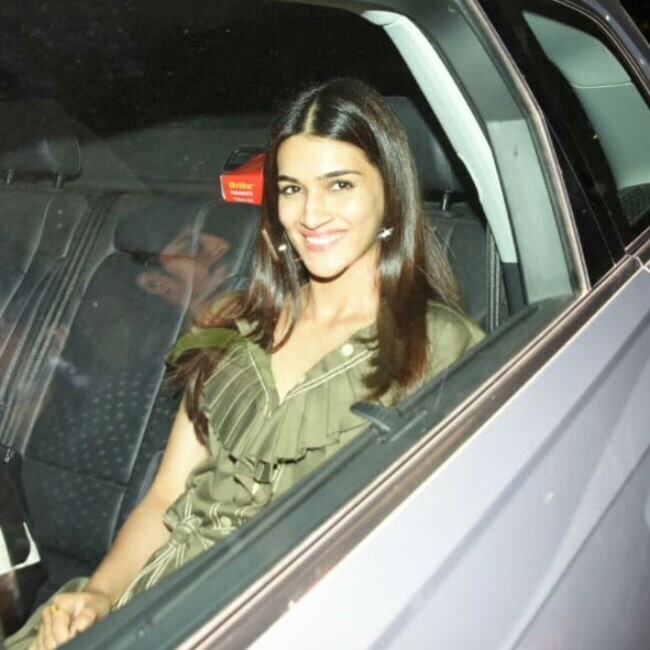 Actress Kriti Sanon, who features in Kalank song Aire Gaire, arrived with a happy face at the screening. Karan Johar also invited his close friend Neha Dhupia, who carpooled with Soha Ali Khan and Sophie Choudry. 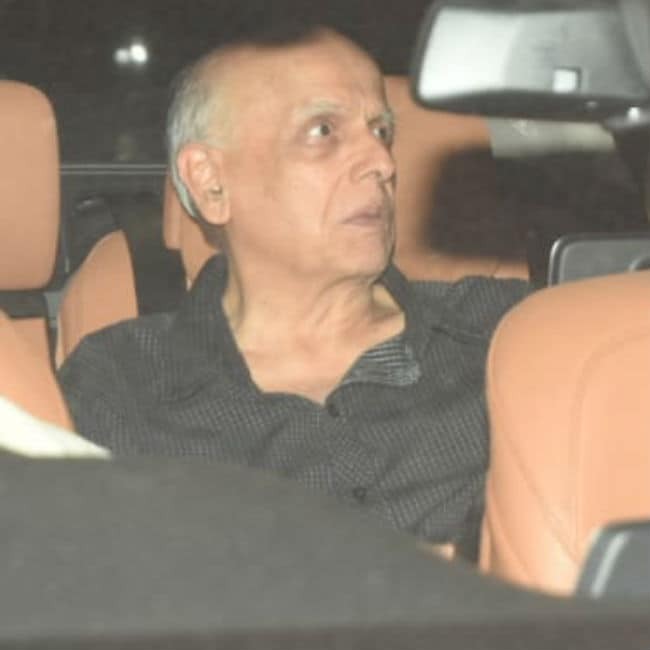 Alia's father Mahesh Bhatt was also among the attendees. Soon, Alia will star in Mahesh Bhatt-directed Sadak 2. Kalank is the story of Roop (Alia Bhatt) who falls in love with Zafar (Varun Dhawan) after she marries a Dev Chaudhry (Aditya Roy Kapur), who in turn is married to Satya (Sonakshi Sinha). The film is set in the Forties and uses the backdrop of the partition of India in the plot. Kalank is directed by Abhishek Varman.